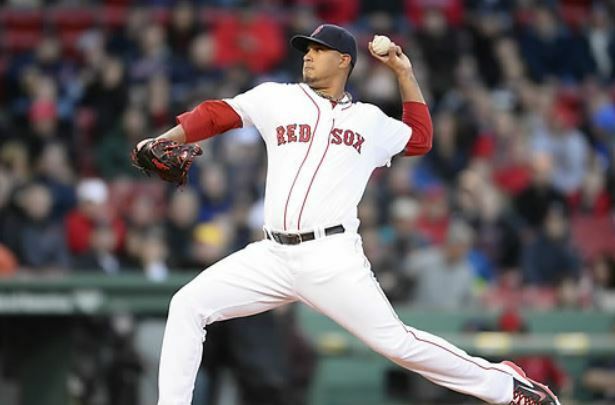 The South Korean baseball club Lotte Giants said Thursday they've agreed to terms with former major league pitcher Felix Doubront. The Korea Baseball Organization team said the 30-year-old left-hander has agreed to a one-year deal worth $1 million, including a signing bonus of $100,000. Doubront is scheduled to undergo a physical in the United States on Friday (local time). Doubront, a native of Venezuela, joins American left-hander Brooks Raley in the Giants' rotation. Earlier this week, right-hander Josh Lindblom left the Giants after two and a half seasons and signed with another KBO club, Doosan Bears. KBO teams are each permitted a maximum of two foreign pitchers. The Giants said Doubront is a ground ball pitcher who mixes his fastballs with curves and changeups. Doubront has a career 31-26 record with a 4.89 ERA in 118 big league appearances, including 85 starts. He has had stints with the Boston Red Sox, Chicago Cubs, Toronto Blue Jays and Oakland Athletics. He has been linked to the KBO in recent years.